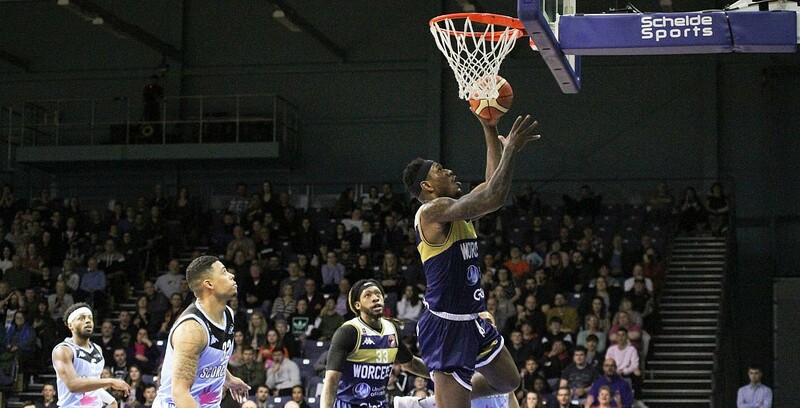 Check out highlights of the highest scoring game in BBL history as Worcester Wolves edged out Surrey Scorchers in an epic quadruple overtime thriller. The Wolves took the win with Robert Crawford’s game-winner ahead of the final minute of the fourth extra period with the American finishing with 33 points, eight rebounds, six assists and seven steals, while compatriot Deshawn Freeman also posted 33 points along with 14 boards. As for Surrey, Quincy Taylor handed out 17 assists to go with a 33-point haul of his own with Tayo Ogedengbe finishing with 21 points, 10 rebounds and eight assists in the agonising loss. The previous record set for the most points in a BBL game was Thames Valley Tigers’ 145-144 victory over Derby Storm in 1997 – with the game also going to quadruple overtime.